Fans of the TV show The Grand Tour, you would be amazed to know that it back officially on Amazon Prime later this month. Post the life at Top Gear, Clarkson, Hammond, and May will be seen together in The Grand Tour, the hit motoring show. According to the trailer release, there’s a maximum of three different stunts that the team will try to complete. It also shows the kinds of motor vehicles to be used, and the most interesting thing is that a helicopter is seen in the trailer. But besides all that, we know for sure that McLaren Senna hypercar, Lamborghini Urus SUV is a part of Season 3 of The Grand Tour. As goes for the trio, we see Hammond trying to navigate a dangerous wooden bridge high above a swelling river. I doubt the pickup truck that he’s using is gonna serve the purpose well! That’s what The Grand Tour is all about. Meanwhile, Clarkson is seen peddling a bike! And why’s May attempting a hand at the bagpipes? Is she somehow going I conduct a Swedish tour? I guess that May will travel to Scotland this Season. Later he can see try and pulling a ginormous statue of Clarkson’s head with a Mercedes. The filming of the in-studio segments has been shot at the Cotswolds location. As goes for the travel destinations, it is pretty clear that we must not expect anything less than exotic destinations which will be as far-flung as Mongolia, Colombia and Hong Kong have all been mentioned in the third installment of The Grand Tour. Other destinations include USA, Azerbaijan, and Georgia. You must know that there won’t be any celebrity guests for Season 3. No high-profile guests in the tent this series, no A-listers, no nothing! The reason why this was done was to make the show appealing to a larger segment of the audience, which means globally. According to the creative heads, A-listers and high profile guests made the show look “too regional”. And it’s economic too. There were speculations about whether Grand Tour would be canceled after Season 3. 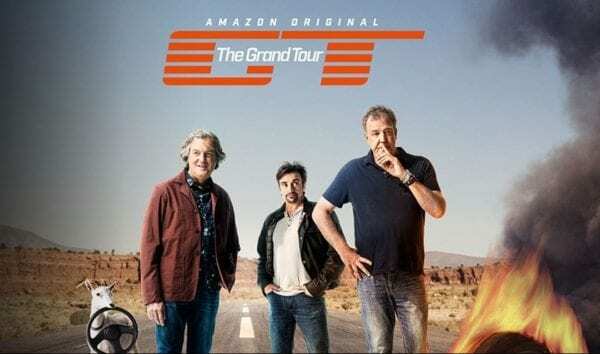 Last year, early 2018 Clarkson himself brushed off the rumors saying Grand Tour indeed would be back but with minor changes in the shows format. Season 3 of The Grand Tour begins on Amazon Prime from 18 January 2019. Next articleThe Vampire Diaries Season 9: Renewed or Cancelled?